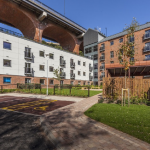 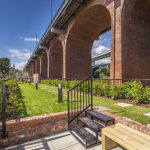 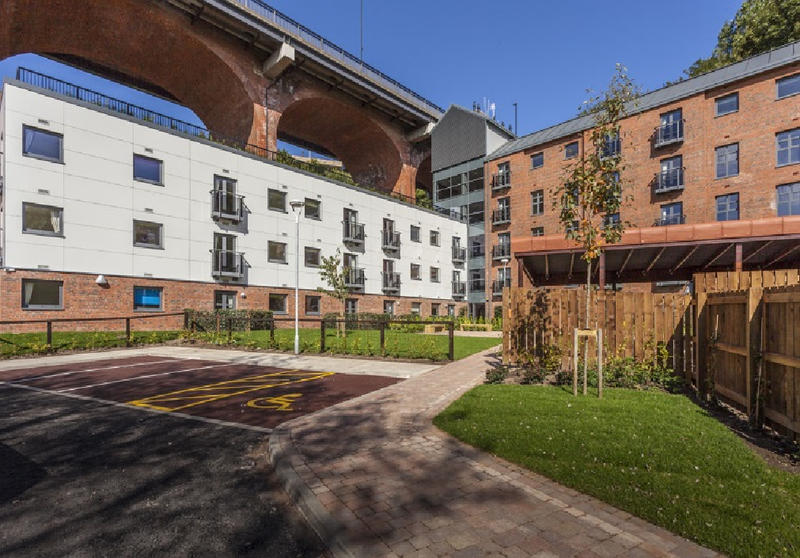 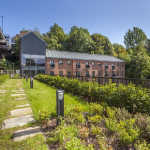 We are close to completing Construction on a new housing scheme for 42 Flats mainly for single people in the Ouseburn Valley, Newcastle upon Tyne. 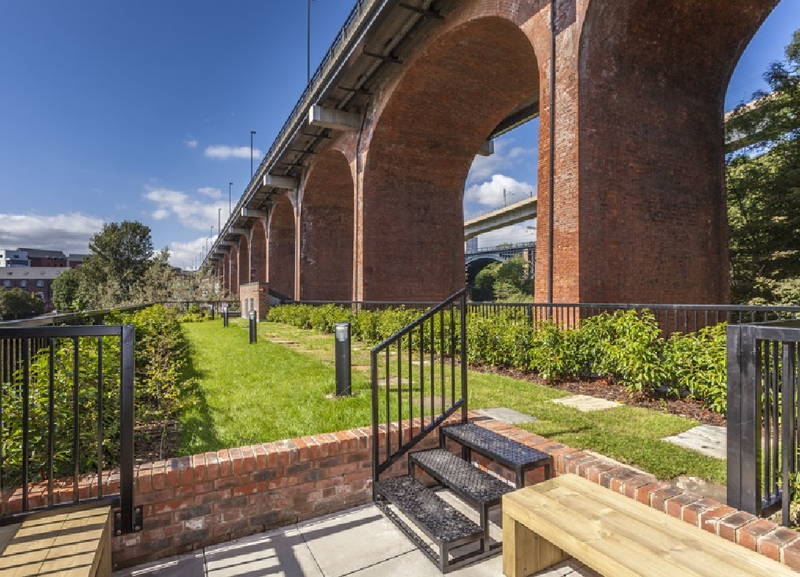 One wing of the building stands astride the foundations of Hadrian’s Wall, which runs through the site parallel to the Shields Road Viaduct. 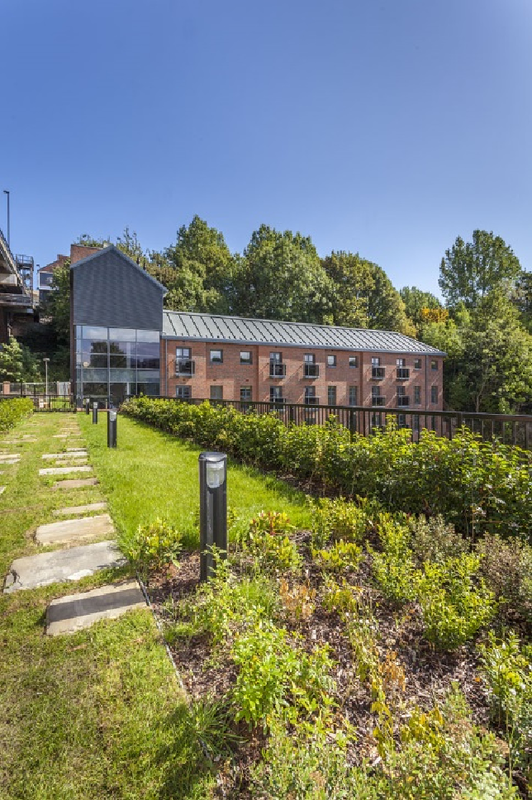 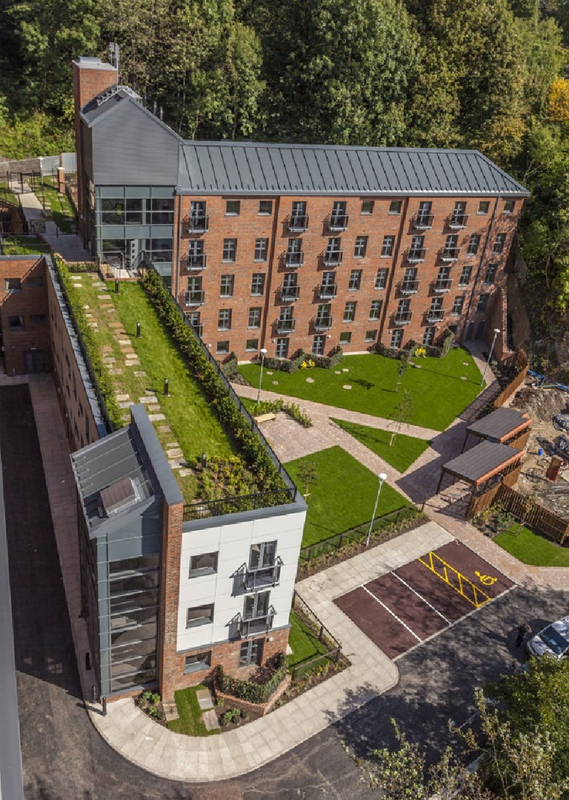 A roof garden has been formed on this wing, which is landscaped to trace the line of the Wall with stone and is accessible from the footpath on the upper level of the Ouseburn Valley so that residents can enter their Flat either at Valley floor level or at higher level further up the Valley side. 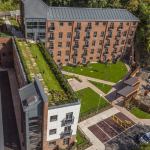 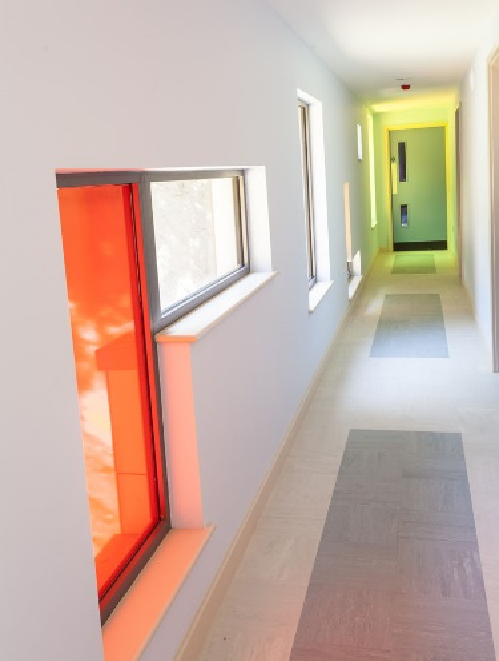 The Flats have been designed to a very good sustainable standard being heated by air source heat pumps and solar pre-heat panels on the roof. 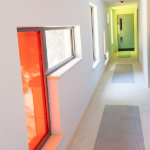 Electricity is supplied by photovoltaic panels. 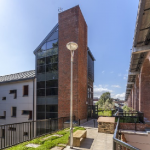 Thus the building is designed to achieve Code for Sustainable Homes Level 4.